Compact footprint. Just the right size for the city, can be parked virtually anywhere! Thanks to a light steering and clutch, the Alto K10 is the perfect tool for beginners. 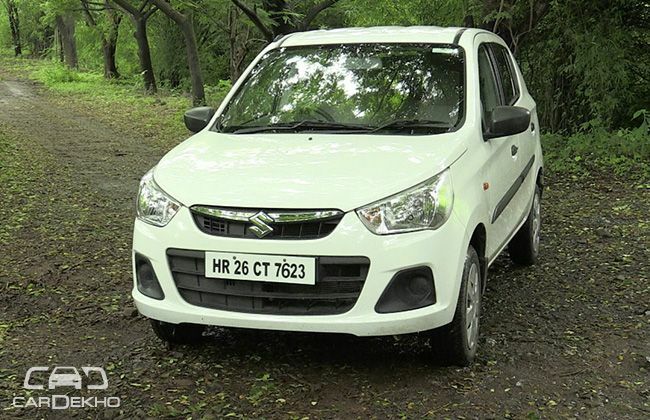 The Maruti Alto K10 returns an excellent mileage and barely pinches the pocket in terms of running costs. Sheet metal quality leaves a lot to be desired. In comparison, the Hyundai Eon feels solidly built. Cabin space in the Alto K10 is suited for four people at best. This is a car that's meant to serve its purpose of getting you around town. The compact proportions, good fuel efficiency and the super light steering of the Maruti Alto K10 makes it a perfect city runabout. "With the automatic variant, the K10 takes its city-friendly nature a notch higher." In case you need a small hatch for the school or grocery trips on a budget, the Alto K10 should be on your shopping list. The Maruti Suzuki Alto K10 is offered in 8 variants - LX, LX(O), LXi, LXi(O), VXi, VXi(O), VXi AGS and VXi AGS(O).